George Herbert Walker was the former President of the United States, who was in the office from 1989 to 1993. He was born in Massachusetts into a political and affluent family. His father, Prescott Sheldon Bush, was a Senator from Connecticut and his mother, Dorothy Bush, hailed from a prominent family. George H.W. 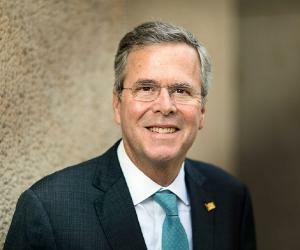 Bush joined the US Navy during the Second World War and after coming back he graduated from Yale University with a B.A. degree in economics. He rejected the offer of joining his father’s firm and instead shifted to Texas and worked as an oil field supplies salesman. 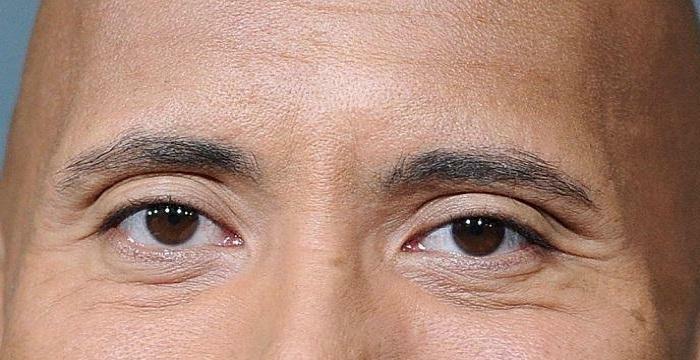 Within a decade he became a millionaire and then entered politics. George H.W. Bush occupied a number of important positions during his political career. He was elected to the House of Representatives from the 7th District of Texas, was appointed as Ambassador to the United Nations, became the Director of Central Intelligence and served as the Vice President of United States during the presidency of Ronald Reagan. In 1988, he was elected as the Republican Party’s candidate for the office of U.S President. He defeated Democratic nominee Michael Dukakis and became the 41st President of the United States. Although he became quite popular as a President for his stand against international terrorism and for portraying a strong picture of the nation to the world, he lost the next election in 1993. 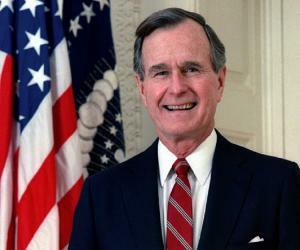 George Herbert Walker Bush was born in Milton, Massachusetts on June 12, 1924 to Prescott Sheldon Bush and Dorothy Bush. Prescott was an investment banker and a Senator from Connecticut and Dorothy was from a prominent family. He received his schooling from the Greenwich Country Day School and later went to Phillips Academy in Massachusetts where he held many leadership posts. On his 18th birthday he joined the US Navy and served as a naval aviator during the World War II. At that time he was the youngest naval aviator. He resumed his studies after the end of war. Following in his father’s footsteps, he graduated from Yale University in 1948 with a Bachelors of Arts degree in economics. At Yale he was the president of the Delta Kappa Epsilon fraternity and member of the Phi Beta Kappa and Skull and Bones secret society. He shifted to Texas after rejecting a position in his father’s firm and began working as an oil field supplies salesman for Dresser Industries. He later co-founded the Bush-Overbey Oil Development Company (1951) and the Zapata Petroleum Corporation (1953). By 1964 George H.W. Bush was a millionaire and started nurturing political ambitions. He became the Chairman of the Republican Party for Harris County, Texas, the same year. In 1964, he contested for a U.S. Senate seat from Texas but lost to Democrat Ralph Yarborough in 1964. In 1966 he was elected to the US House of Representatives from Texas and he served for two terms. He gave up this seat in 1970 to run for Senate but lost. Over the next few years he served in several prestigious positions including US Ambassador to the United Nations (1971–73), Chairman of the Republican National Committee (1973), US Envoy to China, Director of the Central Intelligence (1976–77) and the Director of the Council on Foreign Relations (1977–79). In 1980, he campaigned for the Republican nomination for President but lost to Ronald Reagan. He became the Vice-President under Reagan and when the latter was re-elected in 1984, George H. W. Bush again held the same office. He won the 1988 Presidential election after defeating the Democratic nominee Michael Dukakis and became the first serving Vice President to be elected as President since 1836 and the first person to succeed someone from his own party since 1929. 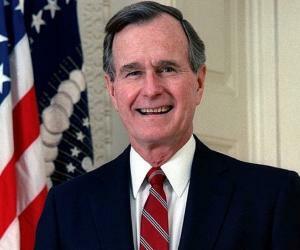 George H. W. Bush assumed the office on January 20, 1989 and he became the was inaugurated as the 41st US President. During his tenure he witnessed the fall of the Berlin Wall, the collapse of the Soviet Union, and the end of the Cold War after 40 years. In 1989 he directed ‘Operation Just Cause’—the US invasion of Panama to catch the corrupt leader Manuel Noriega, end his dictatorship in the state and then bring him to the US where he would be tried for drug trafficking. His government passed many important legislations. These include: the Americans with Disabilities Act, Radiation Exposure Compensation Act, Clean Air Act and the Immigration Act. 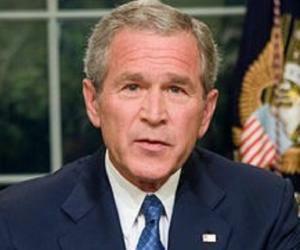 In 1990 he ordered the ‘Operation Desert Storm’ after Iraqi leader Saddam Hussein’s invasion of Kuwait. The operation was backed by the United Nations and the mission was accomplished with the liberation of Kuwait. In the US, Bush’s popularity reached new heights. After the failure of a United Nations Operation in Somalia 1 (UNOSOM 1), Bush brought in his military to help in the humanitarian cause of feeding the starving Somalia citizens. But after the death of several US marines, he received severe criticism. At the end of his first term he announced he would contest in the re-election in 1992, possibly reflecting on his worldwide success. However, he lost to Democrat Bill Clinton who succeeded him as President of the US. He returned to Houston with his family after retiring. From 1993 to 1999 he served as the chairman to the board of trustees for Eisenhower Fellowships, and from 2007 to 2009 was chairman of the National Constitution Center. In 1990 Saddam Hussein led Iraq to invade Kuwait for its huge oil reserves and later demanded control over half of the country. George H. W. Bush believed it was unfair and asked several European and Arab countries to oppose it, and led the formation of a coalition of allied nations. The coalition forces registered a decisive victory and drove the Iraqi military from Kuwait. Bush’s popularity rose considerably following this incident. 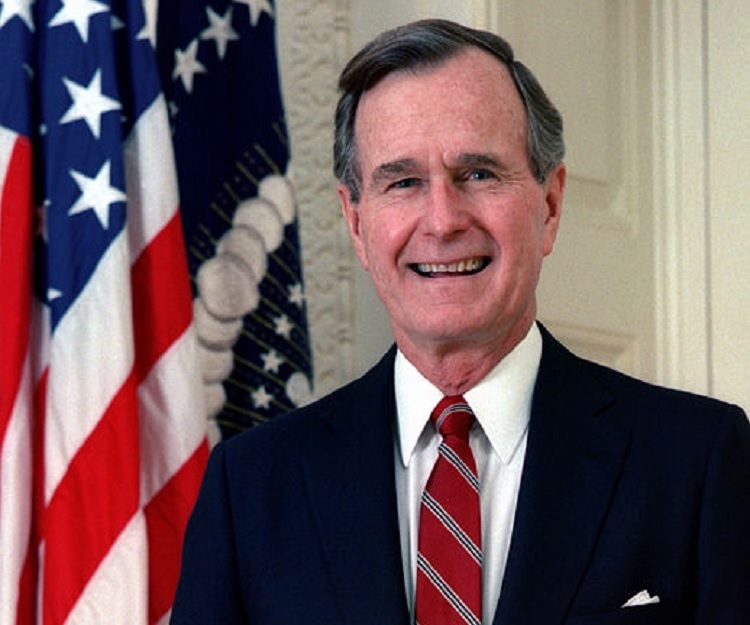 George H. W. Bush was given the Distinguished Flying Cross for his services during the Second World War and the Rotary National Award for Space Achievement’s National Space Trophy for his leadership in the US space programs. In 1991, the US Navy Memorial Foundation presented him with its Lone Sailor award and in 1993 he was made an Honorary Knight Grand Cross of the Order of the Bath by Queen Elizabeth II. 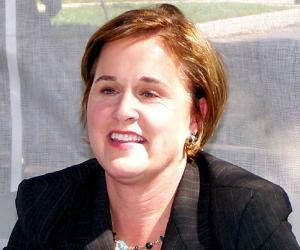 George H. W. Bush married Barbara Pierce in 1945 and the couple had six children, namely, George W. Bush, Robin Bush, Jeb Bush, Neil Bush, Marvin P. Bush and Dorothy Bush Koch. George H. W. Bush died on December 1, 2018, at the age of 94, in Houston.